Looking for some new kicks for this summer’s adventures. What do you guys wear? I usually run some Adidas hiking shoes, but this summer I’m going to be going a little harder, lots of rough Alaskan terrain, water, mud, snow, etc. Down here in cold weather I wear sneakers and warm temps bring out the Crocs! Nowadays i usually wear caterpillar hunting boots. I wear my desert Army boots unless it's muddy then I wear a pair of Muck boots. Rawhide, boogeyman and A2coins like this. I have a pair of Sketchers hiking boots but can be found in tennis shoes if in town hunting. I wore my desert army boots out as I hunt a lot. I usually have to buy a new pair every year. 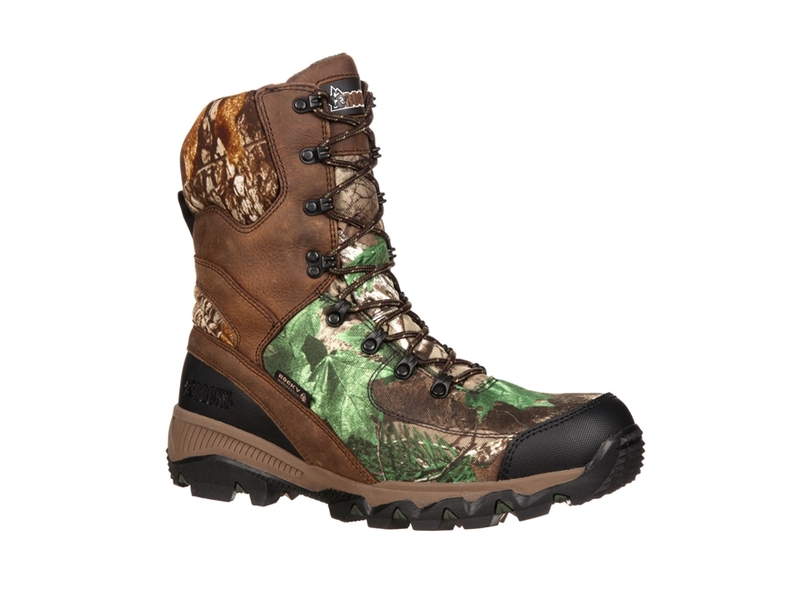 Danner 453's hiking boot fantastic boots! Gortex light weight heavy duty sole, handles shovel well and walking is great. A bit spendy but I've broken boot soles while shoveling. Danner 16285 Workman 8” boots are on my feet 95% of the time I have something on my feet. They are THE one boot I’ve found that allows me to do the work I do on concrete 8 hours a day and are SO comfortable that they allow for walking on all kinds of terrain. As above,the Vibram sole also is extremely durable and doesn’t get damaged from the serious shovel use I put them through. Again,a bit spendy at 200$+ but nothing else will do. I used to wear Wolverine Compressors but they quit making the model I wore. Once I found Danners it was clear I had found “my boots”. Bates tactical, some models are metal free for working around security metal detectors. When we use our gpx's if you have metal in your shoes it will pick it up..
Prada men's military combat boot in Spazzolato leather. Pull loop at back collar. Flip flops on the dry sand, dacor snorkel fins in the shallows, mares free diving fins for the deep. Brownies or AirLine ? Which is Preferred ? What is your preferred way to go to the great beyond? keep it clean now.